﻿ Real Madrid 0-3 Barcelona. A poisoned Christmas! 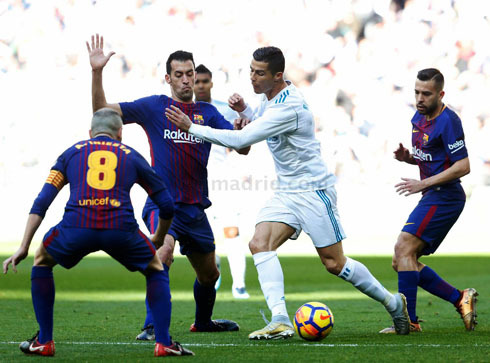 23.12.2017 » Real Madrid 0-3 Barcelona. A poisoned Christmas! And it all started so well. 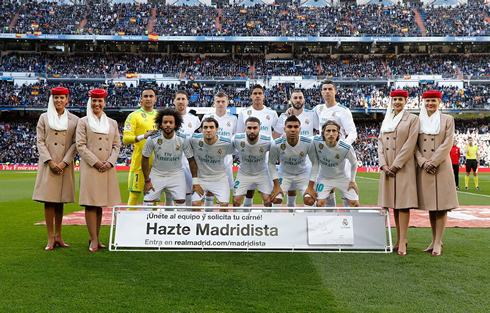 Real Madrid were up for this match, they were sharp, moved the ball quickly and were frankly dominating their Catalan rivals early on. 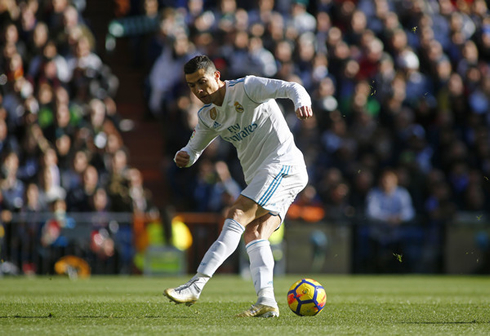 An early goal from Ronaldo was waved off, but he also whiffed on a clear chance in the box as well, possibly the best chance he had all game. Later on, Karim Benzema would have hit a header off the post, but overall, it was a poor showing from Benzema as fans continue to wonder if he'll ever be sacrificed in Zidane's book. The second half, however, was the stuff of nightmares. First, Kovacic's strict decision to man-mark Messi left Ivan Rakitic wide open as he sprinted right down the center of the field. Rakitic laid it off perfectly for Sergi Roberto, who immediately centered it to Suarez. The Uruguayan easily finished and it was suddenly 1-0. There was an alarming lack of communication on the goal, as someone should have covered for Kovacic. Soon after it went from bad to worse, an inability to clear the ball lead to a Dani Carvajal's handball in the box - a straight red and a penalty. 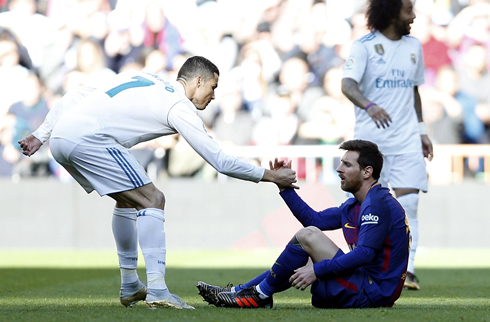 Messi buried it and Madrid were essentially dead and buried. Down to 10 men and down two goals. 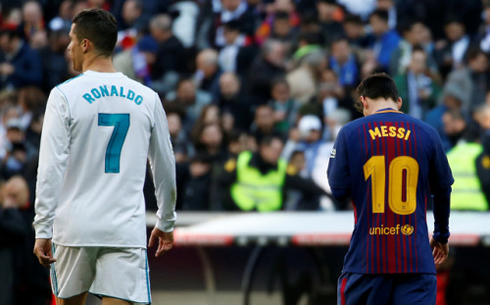 Real Madrid have a horrible habit of being down to 10 men versus Barcelona and it happened again today... Terrible discipline from what's supposed to be a mature team. Barcelona thankfully took their foot off the gas as the game wound down. Gareth Bale and Marco Asensio came on to try to salvage something for Madrid, but it wasn't to be. 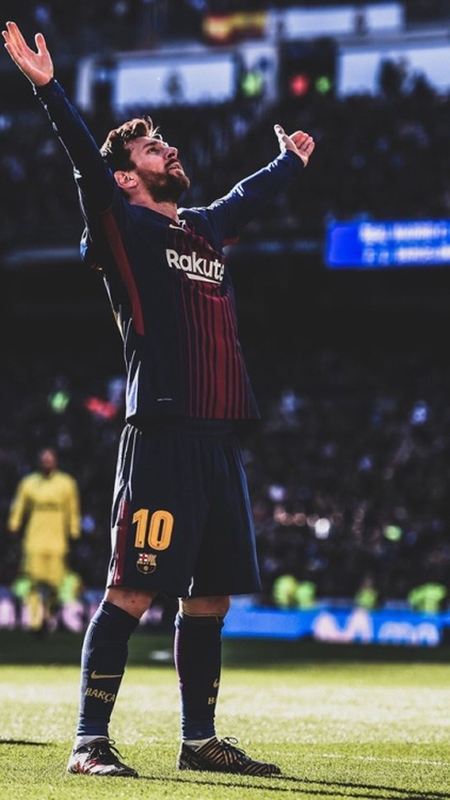 And just when it looked to be over, Barcelona added insult to injury as Lionel Messi broke down the right flank past Marcelo and squared perfectly to Aleix Vidal for Barcelona to cap it off 3-0. League over. Cristiano Ronaldo next game for Real Madrid is on January 4 of 2018 against Numancia. You can watch Juventus live stream, Numancia vs Real Madrid, Chelsea vs Brighton, Leicester City vs Manchester United, Burnley vs Tottenham, and Liverpool vs Swansea City, all matches provided from our live sports and football game pages.